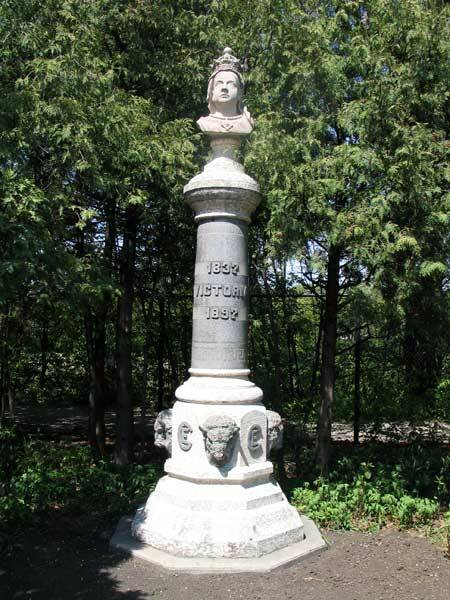 This monument was given to Winnipeg by the Young Peoples’ Christian Endeavour Society to commemorate Queen Victoria’s Diamond Jubilee (60 years on the throne) in 1897. The bust of Queen Victoria and the “Boy With The Boot” once formed a single fountain-statue that, in 1898, was unveiled in front of the old City Hall on Main Street, near the Volunteer Monument. It was moved to Assiniboine Park and unveiled at a re-dedication ceremony on 18 May 1967, officiated by Secretary of State Judy Lamarsh.